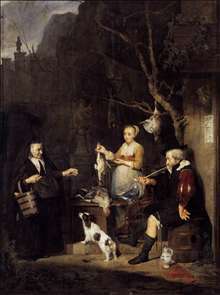 Dutch painter, active in his native Leiden, then in Amsterdam, where he had moved by 1657. 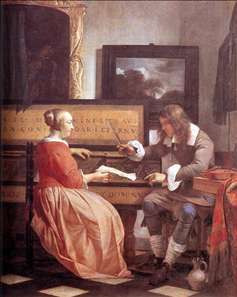 Houbraken says he trained with Dou, but Metsu s early works are very different from his - typically historical and mythological scenes, broadly rather than minutely painted. 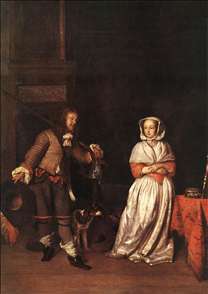 Metsu also painted portraits and still-lifes, but his most characteristic works are genre scenes, some of which rank among the finest of their period. 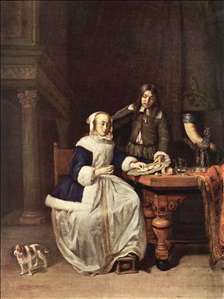 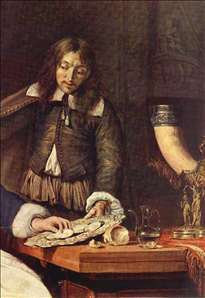 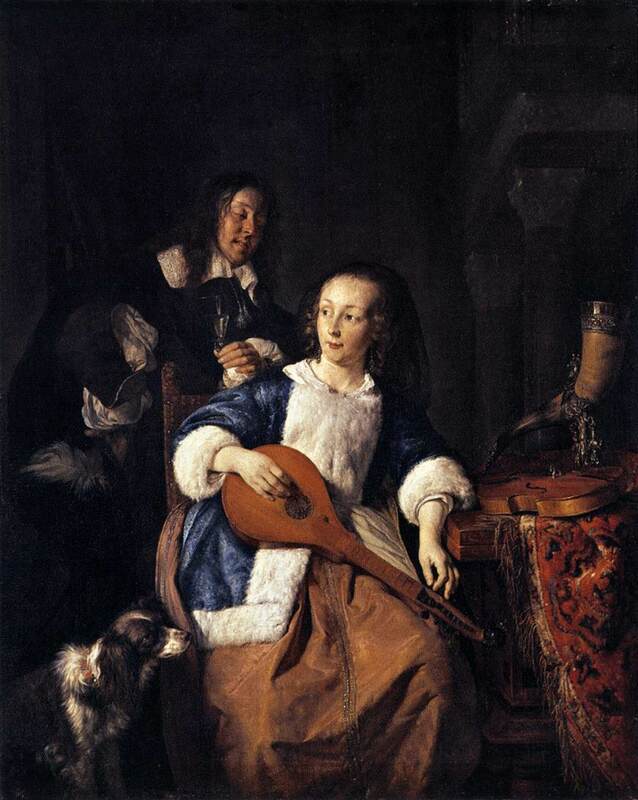 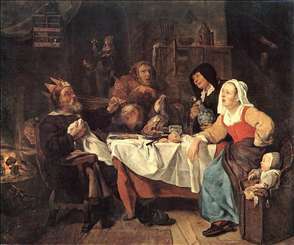 He concentrated on scenes of genteel middle-class life, fairly close to de Hooch and Terborch in style, but with a personal stamp. 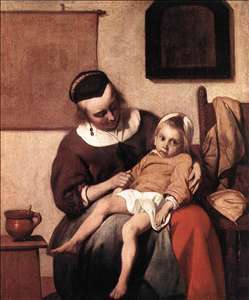 One of his best-known works, The Sick Child (Rijksmuseum, Amsterdam), is often compared with Vermeer. 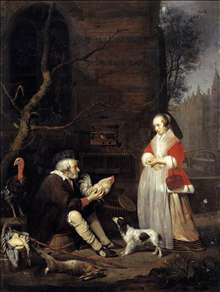 His work is rarely dated, so his development and relationships with other artists are difficult to trace. 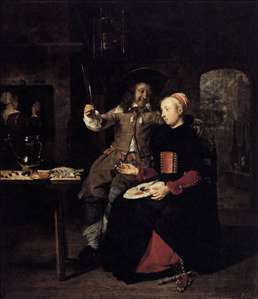 See more details about "The Hunter and a Woman"
See more details about "The Feast of the Bean King"
See more details about "Breakfast"
See more details about "The Breakfast "
See more details about "Man and Woman Sitting at the Virginal"
See more details about "The Cittern Player"
See more details about "Portrait of the Artist with His Wife Isabella de Wolff in a Tavern"
See more details about "The Poultry Seller"
See more details about "The Poultry Woman"
See more details about "The Sick Child"